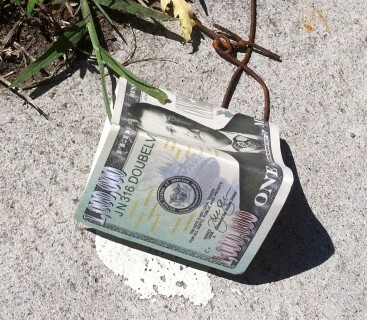 I found a $1 million bill on the sidewalk on today’s bike ride, but it was fake. Too bad. Today is my wedding anniversary. Ruth almost got a big upgrade on her gift. Ruth and I have been married for four years. I’ve been known to say that she got the better of the deal because when we got together I had to buy cross-country skis and a kayak and all she had to do was buy a pair of running shoes. But in reality, I’m the one who came out ahead. Happy anniversary, dear. Ruth used to run cross-country when she was in school. When we started dating, it didn’t take long before Ruth realized that if she wanted to see much of me she was going to have to start running again. It was fun to help her get going again, and I’m proud of what she’s accomplished. 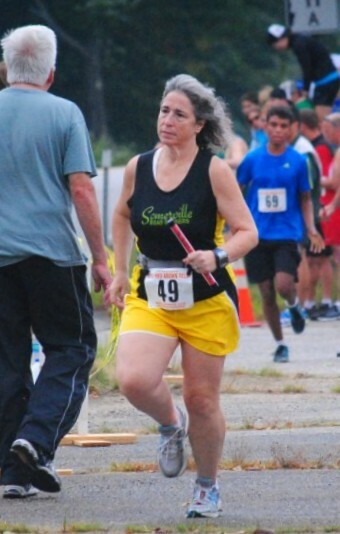 When she insisted she would never run a marathon, I nodded and bided my time. Cape Cod will be her third marathon, and we’re already scouting choices for the next one. We’re going out for dinner to celebrate tonight, but we can’t make a night of it because I have to go to the first meeting of Arlington’s Electronic Voting Committee. We’ll make up for it this weekend.